Saif Carpets Pvt Ltd - India’s leading manufacturer and exporter of Handmade Woolen , Cotton & Viscose carpets, Textile items such as Cushions , Poufs , Bathmats , Throws. Carpet cleaning, for beautification, and the removal of stains, dirt, grit, sand, and allergens can be achieved by several methods, both traditional and modern. Clean carpets are recognized by manufacturers as being more visually pleasing, potentially longer-lasting, and probably healthier than poorly maintained carpets. Sanitary Maintenance magazine reports that carpet cleaning is widely misunderstood, and chemical developers have only within recent decades created new carpet-care technologies. Particularly, encapsulation and other green technologies work better, are easier to use, require less training, save more time and money, and lead to less recoiling than prior methods. How Do You Care for Persian Antique Rugs? Genuine, handmade Oriental rugs require special care and cleaning to maintain their beauty, originality, quality and worth. This is particularly true with antique Oriental rugs, which are extremely susceptible to damage by vacuuming and other cleaning methods. By vacuuming your Oriental rug carefully following these steps, you preserve its appearance and longevity. Place a plastic carpet pad or cushion underneath your antique rug. Carpet pads help protect antique rugs from wear, tear and fading. Vacuum both sides of your antique rug. Push and pull the vacuum over every spot on the antique rug except its fringes. Make sure you use enough vacuum force to clean the rug but not so much that the machine damages the rug. If you must use a beater brush on your antique rug, adjust it so that it has as little contact with the rug as possible. Clean up accidental spills as soon as they occur. Most spills can be handled with a spotless Turkish towel, club soda and some blotting. Repair your antique rug as necessary. Insects like moths and carpet beetles pose a threat to an antique rug's appearance as much as common wear and tear does. If an antique rug shows signs of insect damage or infestation, take the rug in for an immediate deep-cleaning and spray your home for any remaining insects while it is being cleaned. Turn over your antique rug every year. Exposing both sides to traffic and use helps keep your antique rug viable longer. Use wear and daylight exposure as guides to help you determine when to turn over your rug; if your antique rug undergoes more wear and daylight exposure than usual, consider turning it over sooner. Exercise caution when allowing pets or small children around an antique rug. Pets should be house trained and children's activities should be monitored to avoid accidental damage. Keep your antique rug dry. Moisture and wetness can permanently damage a rug. 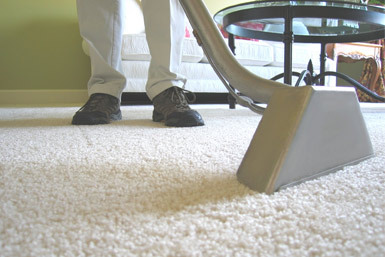 If your rug gets wet, take immediate action to dry the rug with a fan or a wet vacuum. Reduce water threats around your antique rug. Move drinks and plant pots away from antique rugs and lay your antique rug away from plumbing pipes.